An introduction to The Pill Juggling Toy, describing all the important parts of The Pill, the most common types of tricks that can be performed, and the different varieties of Pill toys. What Is The Pill Juggling Toy? 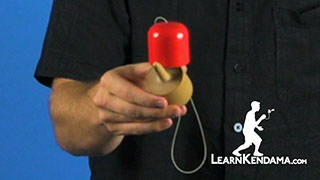 Kendama TrickIn this video, I am going to introduce you to the pill, which is a modern innovation on the kendama. 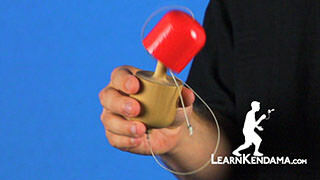 In one sense, the pill is just a similified kendama, and a lot of people think of it like training wheels, but actually it has a lot of techniques and characteristics that set it apart, while still implementing a lot of the same skill sets. 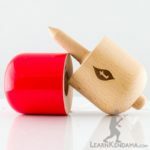 Now if you are a kendama player and you want to get into the pill, you are going to find that it is a lot of fun, as many of your tricks from kendama will cross over. 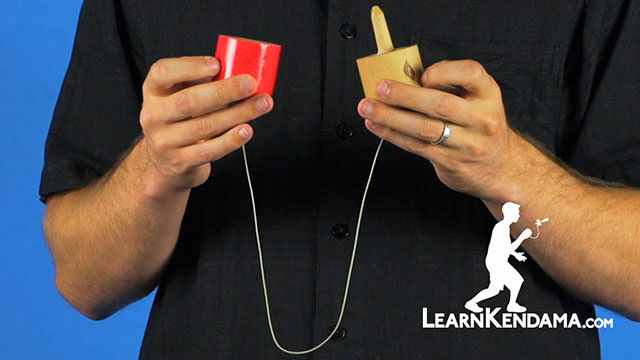 If you are a brand new player, just getting into the pill with no experience, you are going to find that the pill is easier to learn, and it also shortens the jump to get into kendama. Before you start, it is very important for you to learn the names of each part of the pill. 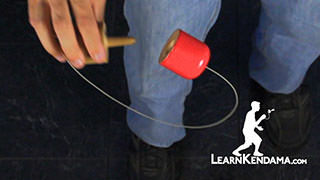 The pill is made up on two wooden halves connected by a string. The half with the hole is called the cap. The half with the spike is called the base. On the bottom of the base is a node, which has the string tied to it. 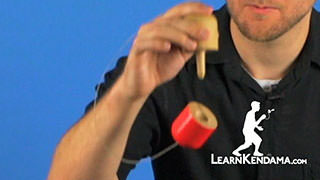 The string is held in the cap very similar to a kendama, where we have a knot that anchors a bead, and keeps it from coming out. If you ever need to change your pill string, you can check out our video on how to do that. There is also a flat surface around the spike, which is called the rim. The cap also has a rim around the hole. Other sources may refer to each of these parts with different names, but this is the terminology that we will be using in all of our videos. 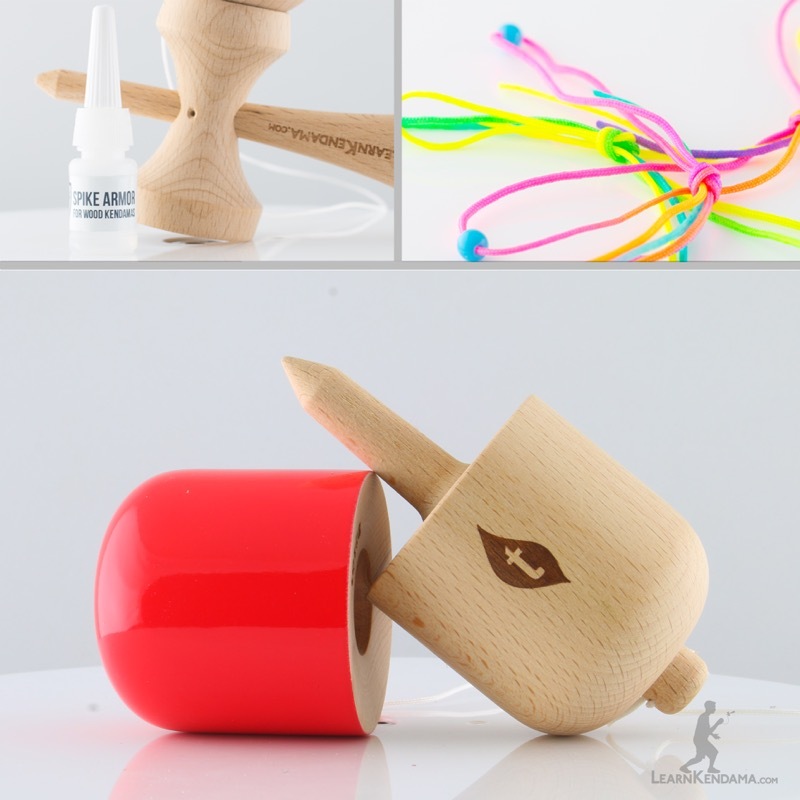 Just like a kendama, the Pill can do a variety of spike tricks, where you land the hole on the spike. These can become more advanced as you add multiple spins as well as different trajectories. You can also do balance and stall tricks using a pill, such as balancing the rim of the base on the rim of the cap or balancing the cap on the node like so. 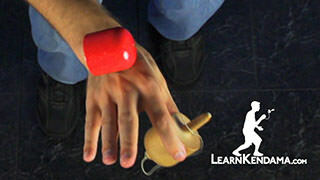 There is a lot of other varieties of those types of tricks. 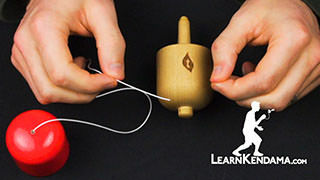 Because the halves of the pill are connected by a string, just like a kendama, a lot of the string tricks and hanging tricks translate very easily, such as Swirl. Because the dimensions of each pill half are so similar, as well as the weights are roughly equal, it allows for a lot more consistency and balance when performing those types of tricks as compared to a kendama. 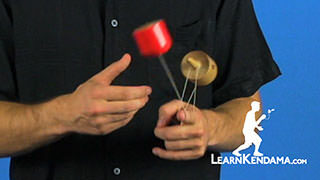 Certain tricks, such as pull spike, can be done holding the base, and can also be done holding the cap. Tricks that can be done like this can be referred to as being done base side or cap side. In our videos, we will always teach you first holding the base side, and then holding the cap side. If you are interested in learning how to play Pill, you are going to want to pick one out. Let’s go look at some of the different types of pill. In terms of buying a pill, there is really not much variety when it comes to shape, but there are three classes you will want to be aware of. First is the painted pill. Second is the natural pill. Third are the exotic pills made out of the exotic woods. So we will talk about the painted pill first, which is kind of the standard in terms of pills. It has a standard weight, it is more affordable, and it has this paint which comes in a variety of colors, so if you have a favorite color, you can check out the different options. The paint offers some benefits. 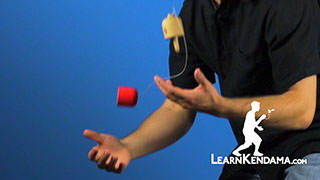 First, it is tacky, so when you are doing certain balance tricks, it is a little easier to learn for beginner players. You will also notice the contrast between the wood, so when you are doing something like a spacewalk or a swirl, you can track the different halves of the pill easier. You will also see you can see a contrast between where the hole is and where the outside of the cap it, which makes it easy to track the hole when trying to spike. Those are all great benefits afforded by the painted pill. Beyond that, you have the natural pill, which is also very similar to the painted pill, it has the same kind of standard weight, both of these are made from a beech wood, so again this one is just as affordable, but it is not painted, so you do not have that contrast, or that added benefit of stickiness, but what you will find is these natural pills as you use them and the oils in your hands work into the wood and they get some play, they end up looking really nice, and playing just as well as the painted pills do. When you move up from there, you have the exotic pills, which, like I said, are made of exotic woods, so they are a little higher end. But they offer some benefit in terms of the density. The density of the woods will make some of them a little lighter than the beech, some of them like this zebrano and the purplehart, you will find are actually heavier. Because they are heavier, you will have more control when doing certain flip tricks and that just adds a different flavor when you are learning to do tricks and trying to come up with new combinations. If you like the look of these pills, you certainly would not be holding yourself back by going straight for one of those, you can absolutely start on one, there is no downside to really doing that. 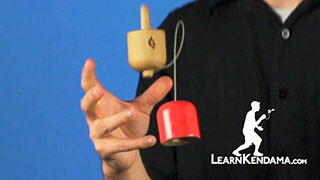 Once you have got your favorite pill, head over to learnkendama.com and learn some tricks.